Technical illustrations can tell you more than a 1,000 words. As a bonus, illustations do not need translation. This reduces your costs significantly, especially if you are planning to publish similar manuals in multiple languages. Besides, a user manual or maintenance manual is almost unthinkable without technical illustrations. Manualise is an expert in illustrating technical documents. Technical illustrators should be masters in omitting details in their drawings. Apart from the contour lines, only the parts that really count should be in the drawing: buttons, connectors, displays and so on. It is also of the utmost importance that there is not too much going on in a technical illustration. Let’s take an example. If you have to connect a microphone to both a power outlet and a specific network, it’s better to create two illustrations instead of one. This is for two reasons. First, people will not get confused when only one action is described. Second, a single illustration with a single action motivates to continue. After all, the chance of succeeding is almost 100% when dividing your actions into separate illustrations. Success motivates! Of course, there is one condition. The illustration should resemble the product (part) in question in every way possible. The dimensions should be correct, the location of a button or display should be exactly where it should be. Users process illustrations within an instance whereas text is always sequential. That’s why processing text takes more time. Users recollect illustrations much better than text. Users who may have less linguistic skills, understand illustrations better. You can manipulate illustrations in order to draw attention to the relevant parts of the product. Illustrations need not be translated. A document containing illustrations looks (much) more attractive. Line drawings and technical illustrations are almost synonyms. Line drawings are illustrations that stress a certain part of a device by drawing the relevant lines more prominently than is justified on the basis of the product alone. This way, the attention of the user is immediately drawn towards the product parts in question. Is it necessary to create line drawings from scratch? No! 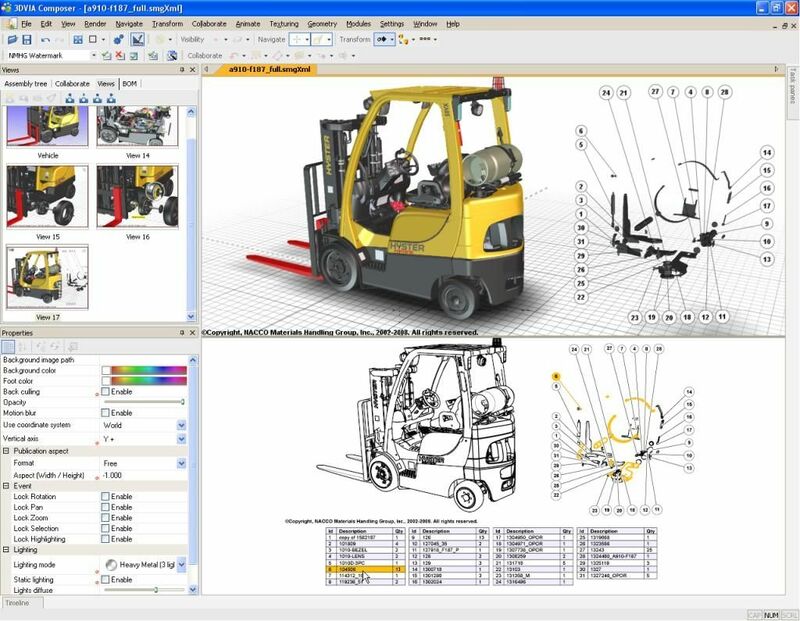 Manualise makes use of a very effective tool, SolidWorks Composer. 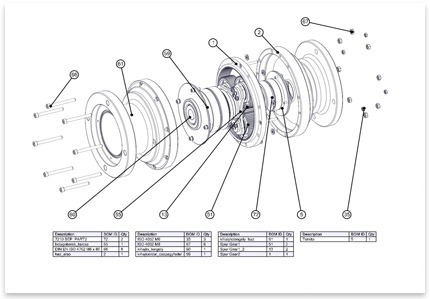 Basically, SolidWorks Composer can extract a technical illustration from an existing CAD drawing. This means your or our technical illustrators can concentrate on adjusting each and every illustration. One could even imagine that developing the product and creating the technical illustrations go hand in hand. After all, when a 3D CAD drawing is available, the technical illustration for your manual is available as well. The technical illustration might need some adjustment, but this does not take away the fact that you can speed up the process considerably. Manualise considers itself to be a specialist in visuals. Yes, we also like to write texts and yes, our technical writers know what they are talking about. That is why they also choose to cooperate with our technical illustrators so that… a picture is always chosen when preferred. An illustration need not necessarily be a drawing, by the way. One could also think of charts, tables, symbols, icons and so on. Would you like to know more about illustrating your technical documents?